Local artists played a large role in the display of ethnicity at Little Norway. They also supported the tourist economy by producing artwork for sale. Patricia Edmundson created this piece to sell in the gift shop during the late 1970s, but the site’s owners removed it from sale to become part of their permanent collection. 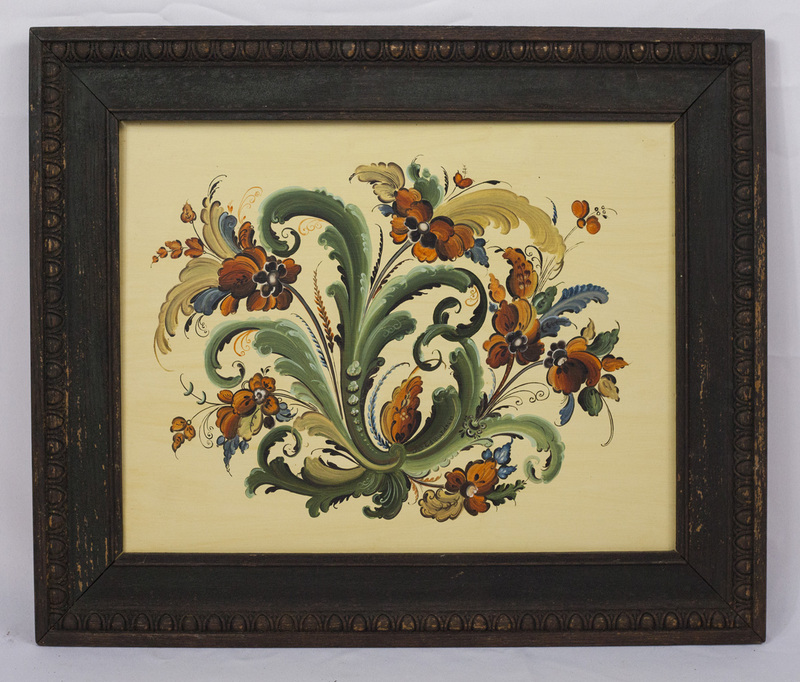 This rosemaled board features the popular Telemark style with a vibrant color pallet, from the creamy background accented in blue to the burned orange flower petals. Edmundson’s signature is visible near the center on a green acanthus leaf. 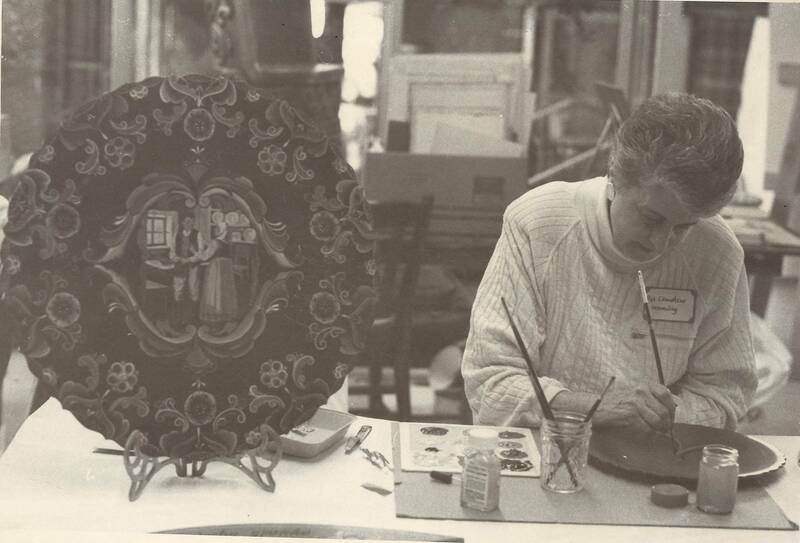 Patricia Edmundson demonstrates rosemaling at a folk festival in Mount Horeb, 1989. MHAHS 5×7.00917.